Galaxy Zack 3 Books in 1! Get the first three books in the Galaxy Zack series in one stellar paperback edition. Planet hop with Zack Nelson on his galactic adventures as he moves from Earth to Nebulon in the year 2120, explores a newly discovered planet, and helps a dinosaur get back to its prehistoric home! With easy-to-read language and illustrations on almost every page, the Galaxy Zack chapter books are perfect for beginning readers! This space-age paperback edition includes Hello, Nebulon! ; Journey to Juno; and The Prehistoric Planet. 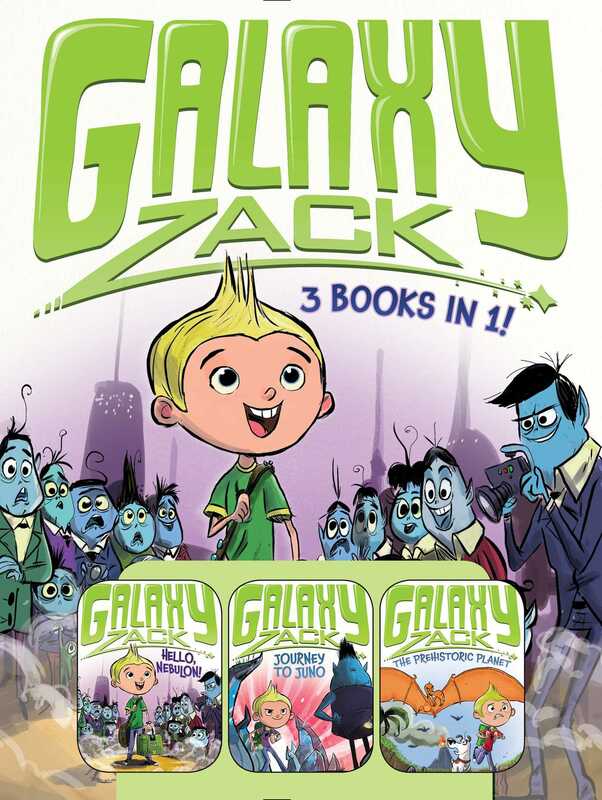 Book Cover Image (jpg): Galaxy Zack 3 Books in 1!